The Transition Program is intended to provide families a path forward to ensure continued participation in hockey. Following the initial 6-week On-Ice Trial, families will have the opportunity to participate in a program hosted by the Minor Hockey Association. Details will vary slightly from location to location and program to program, but the parameters of every offering will fall in line with the key principles of the Canadian Tire First Shift. 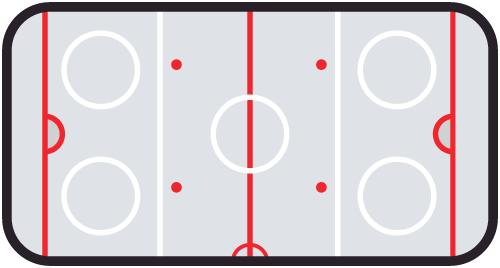 The Hockey Canada on-ice curriculum is progressive; moving from a Learn to Play, through the fundamentals of skating and hockey skills, on to a 3 on 3 play environment. How is The Canadian Tire First Shift different from other learn- to-play programs? The Canadian Tire First Shift is a program designed to ease kids and their families into the sport of hockey in a fun and friendly environment. We begin with a Welcome Event offering information and activities to help build kids’ confidence to make them and their parents more comfortable in the hockey environment. There are 6 sessions – one per week on the same day, at the same time to make it convenient for parents to schedule. The focus of the on ice sessions is fun, teaching kids basic skating and fundamental hockey skills through play. What is a Welcome Event? The Canadian Tire First Shift kicks off with a Welcome Event which is our opportunity to welcome you into our hockey community. We will introduce kids and parents to the local program administrators, and coaches, provide an overview of the 6 week program, and offer important information about proper fit and maintenance of equipment, as well as a demonstration on “how to get dressed”. After the 15 minute information session, each child is individually fitted for the equipment he/she will collect and take home- ready to start the first session! If my child is older, will he/she skate with the younger kids? All skaters are on the ice together at one time. However, the instructor/skater ratio of 1:4 ensures participants will be divided into small groups according to age and skating experience level. How many kids will be on the ice at one time? 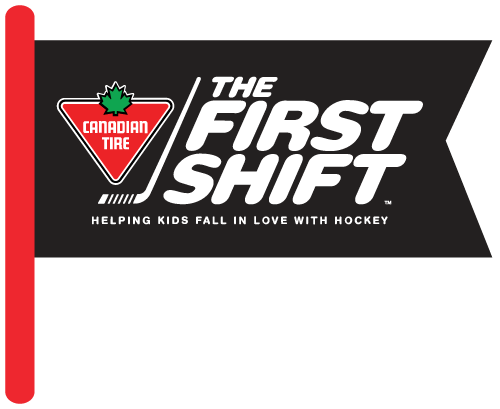 The Canadian Tire First Shift program is split into two segments depending on your Minor Hockey Association’s program application. The limit will either be 45 or 30 skaters depending on which the association has chosen. What is the ratio of instructors to skaters? The ratio of instructors to skaters is 1:4 which allows instructors to create smaller groups within each session, and provide maximum individual attention. What will my child learn over the course of the 6 week program? Your son or daughter will have fun! In addition, participants will move at their own pace, through fundamental skating and hockey skills. The program runs 6 sessions, which allows kids time to build confidence and improve in order to experience a sense of achievement. What kind of follow-up programs will be available for my child after The Canadian Tire First Shift ends? Our goal is to create a path forward for each child that participates in the Canadian Tire First Shift, with programming that continues to be accessible, affordable and fun. Your local minor hockey association is encouraged to offer a Transition Program with similar program parameters in terms of the length of the program, consistent timing of sessions, and cost. Information on the Transition Program will be available over the course of program. You may also enquire about local Minor Hockey Association registration with your program administrator. Families in need of financial assistance to enrol their child in the Canadian Tire First Shift may be eligible for funding through Canadian Tire Jumpstart Charities. To learn more about Jumpstart and whether your child qualifies, visit the Jumpstart website here. The Canadian Tire First Shift is open to boys and girls ages 6-10*, who have not previously registered for hockey. The MHA registrar will check each name against the Hockey Canada Registry. *To be eligible to participate, children must be born between January 1, 2009 and March 1, 2014. Does my child need any equipment to enroll? Your child does not need any equipment to enroll. Each participant will be expertly fitted at our Welcome Event and will take home all the equipment ready to start the Canadian Tire First Shift program. How do I find out if there is a program available in my area and how do I enroll? 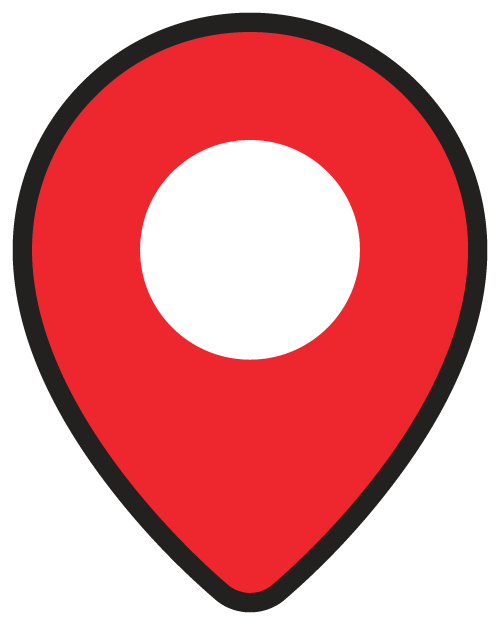 To find out if there is a program available in your area, visit www.firstshift.ca and click on LOCATIONS . If so, either contact your local program administrator or simply click REGISTER. Can I enroll more than one child in the program? The Canadian Tire First Shift program is offered on a first come, first serve basis. However, we understand the logistical challenge parents face juggling kids activities. Therefore, we do try to accommodate siblings for the program as long as your son (s)/daughter (s) are between the ages of 6-10 and have never previously registered to play hockey. What does the $199 registration fee cover? 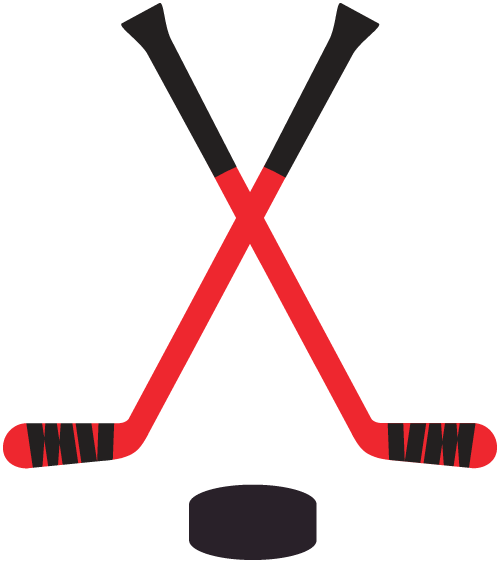 The $199 registration fee covers the 6 week program, player insurance, as well as head-to-toe hockey Bauer equipment. When do we get the equipment for our child? You will receive an invitation from your local minor hockey association for the Canadian Tire First Shift Welcome Event, generally 2 weeks prior to your child’s first on ice session. At the Welcome Event your child will be expertly fit, and will bring home all the equipment required to play hockey. What is included in the equipment my child receives? How do I know my child is getting the proper equipment he/she needs to play safely? At the Canadian Tire First Shift Welcome event we provide important information on proper fit and maintenance of equipment, including a demonstration on “how to get dressed”. Following the information session your child will be expertly fitted for each piece of equipment to ensure the proper fitted. Once your child has been fit head-to-toe, he/she will take all the equipment home in preparation for the Canadian Tire First Shift on-ice session. Do we get to keep the equipment after the program is complete? Yes. Once you complete the Canadian Tire First Shift program, you keep the equipment. Will I receive any updates on what the kids are learning over the course of the 6 weeks? Yes. Your local minor hockey association will send out a weekly newsletter with information on the program objectives for the session, what your child learned, along with highlights and maybe a few photographs capturing your kids in action. Who do I contact if I have a question, or need help?